The vanilla pod of Tahiti is used by the largest perfumers. It exudes a perfume very balanced and this even before the opening of the pod who in fact one vanilla of exceptional. It is ideal for the whole of the cold preparations as, the fresh cream, fruit salads and soups of fruit. We only sell the best vanilla from Tahiti, the vanilla from Tahaa. It is a vanilla with exceptional quality. This clove of exception which is called Vanilla tahitensis gourmet grand cru 1 category. It took the gold medal in the lounge of the agriculture in Paris in 2013 and 2015. The quality of the vanilla from Tahiti is no longer to prove with a flavor very fruity with a taste very strong. Our vanilla from Tahiti is constant from year to year thanks to the know-how to do and to its method of preparation. It is a natural vanilla of exception that will make your preparations a delicious taste when the fatty acid present in the Tahitian Vanilla and oily Tahaa will release all its aromas imperceptible which characterizes this vanilla very top of the range, one vanilla of luxury. 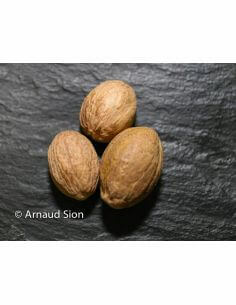 Its perfume in the mouth is very long with a head note anisée and Pruneau with a background note of the fruit of the vanilla very long. Feature: product of exceptional quality. Vanilla pod very oily and oily, a beautiful dress wrinkled, very shiny with a perfume intoxicating. With an aroma of prunes and anise taste. To keep the vanilla pod of Tahiti Tahaa in the best conditions, the counter of Toamasina recommends that you store the extract to the shelter of the light and any impact of temperature. Après avoir testée plusieurs vanille, sur différents sites, c'est vraiment la meilleure qualité que j'ai commandé. Parfumées, bien souples et généreuses.